In a family of seven, shopping the sales and taking advantage of coupons and rebates is pretty much a must. And when your kids are little, every little bit that you can save on diapers and other baby supplies helps. I’ve been diapering kids for over twenty years now (and that’s only counting the kids I’ve personally given birth to – it’s well over thirty years if you count my younger sisters too). And my two youngest kiddos are still in diapers (although one is just about ready to make the transition to the big boy potty, fingers crossed!) So I know how expensive diapers are, especially when you have a kid who likes to poop a lot (I’m looking at you here, child-the-youngest). Thankfully, Luvs and Ibotta have teamed up to help you (and me!) save some money on diapers this month, with both a printable $2 coupon and a limited time $5 rebate! (There’s more information about Ibotta and how their rebate program works below, in case you haven’t heard of this great money saving app yet). Experienced moms already know that using Luvs diapers can help you save money over premium brands. And you probably already know that Luvs have large refastenable stretch tabs, Leak Barrier Leg Gathers, and a Leakguard Core combined with a contoured shape and a cottony material that hugs baby while feeling soft and gentle against baby’s skin. But did you know that Luvs also has a Money Back Guarantee? They feel so strongly that their diapers will keep your baby leak-free that they’ve guaranteed them! If you aren’t satisfied with the leakage protection of Luvs, they’ll refund your money. You can get the details, and more information about Luvs, on their website, www.luvsdiapers.com. (Hint, hint: I noticed when I visited the site just now that they’re also currently sponsoring a sweepstakes with a chance to win a years’ supply of diapers! And you can enter once per day on Facebook – look under the “Offers & Promotions” tab when you visit their website). You can also find Luvs on Facebook, Twitter, and YouTube. So now what about that $2 coupon I mentioned? Luvs is helping you save even more money with a print-at-home coupon good for $2.00 off any pack of Luvs diapers (excluding trial/travel sized diaper packs). Just head on over to Coupons.com and print it off! The coupon will be available to print until June 30th 2016 and has an expiration date of July 31 2016, and it can be used at mass, discount, or grocery stores where Luvs diapers are sold. As for that $5.00 Ibotta rebate – you may be asking, what’s Ibotta? If you haven’t heard about this easy-to-use rebate app, you really need to check it out – I can’t recommend it highly enough. I’ve been using it for about three years now to earn cash back on the things I’m going to buy anyway. You can get money back on everything from groceries to electronics to dinners out – and, of course, diapers! So how does Ibotta work? I’ll give you a quick overview right here, but if you have any questions, feel free to leave me a comment down below and I’ll try to answer any questions you have, or you can visit the Help Center found in the app or https://ibotta.desk.com/. You can sign up for Ibotta here – this is my referral link, which will give you a $10 bonus after you redeem your first rebate! (And I’ll get a $5 bonus for referring you – more diaper money for everyone!) After you sign up and download the app, then you can go through and unlock the rebates you want. You can search by product, by brand, by store/retailer, or just scroll through their lists of new rebates, popular rebates, and so forth. Once you’ve unlocked the rebates you want, head to any of the 187 supported stores (they’re listed in the app, but those stores include major grocery and big box stores, drugstores, gas stations, dollar stores, clothing stores, restaurants like Ruby Tuesday, and even specialty stores like Best Buy, Bed Bath & Beyond, and Jo-Ann) and buy your products. After you’re done shopping, you verify your purchases by scanning the product barcodes and uploading a photo of your receipt. However, some stores are even easier than that – for example, for products you buy at Walmart, all you have to do is scan the QR Code at the bottom of the receipt. My local grocery store, Family Fare, is even easier – I linked my rewards card to the Ibotta app, so I don’t have to verify anything at all! It’s all automatic, as long as I remember to scan my rewards card at checkout. And there are multiple other stores where you can link your loyalty cards for fast ‘n’ easy verifications. And remember, since this is a rebate and not a coupon, you can buy items on sale and/or use coupons and still earn the rebates too. (So you can unlock the Ibotta Luvs rebate, go to the store that has the best deal on Luvs, use the printable $2 coupon on your purchase, and then upload your receipt and get the $5 rebate!) But keep in mind that the Luvs rebate is a limited time offer for Luvs Boxes, 54 ct. or larger (the Luvs Bags, 48 ct. or smaller, are excluded from this offer). (The details for any rebate you unlock – quantity, size, expiration, etc. – are always provided within the Ibotta app). Once you’ve signed up for Ibotta and installed the app, you can search for “Luvs” – once you unlock the rebate, you’ll be able to see the rebate expiration date; make sure to submit your receipt before that date! How many Luvs diapers do you think you could buy with $100? One of my readers is going to win a $100 AmEx gift card! 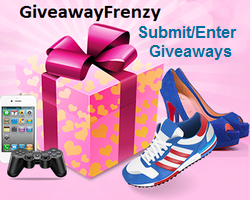 Enter for your chance to win using the Gleam widget below – good luck! No purchase necessary. The number of eligible entries determines the odds of winning. Must be at least 18 years old to enter and reside in the United States. The winner will be chosen at random by Gleam (subject to verification) and will be contacted by email and announced here after the close of the contest. The winner will have 24 hours to respond, otherwise a new winner will be chosen. This giveaway is not associated with Facebook, Twitter, Pinterest, Linked In, or any other organization unless specifically stated. Void where prohibited. Dividing by Zero is not responsible for prize fulfillment; the sponsor is responsible for shipping the prizes to the winner’s valid address (no PO Boxes). Your information will not be sold or shared; it is used solely for verification/prize fulfillment. Giveaway ends June 18, 2016 (11:59pm EST). This entry was posted in Giveaways and tagged Babies, Giveaway, Money by Tara.Bookmark the permalink. I learned that they are giving away free diapers for a year – and I entered. I learned that Luvs offers a money back guarantee. I didn’t realize they didn’t use latex either. I know a lot of kids have latex allergies so that’s a good thing. I like that there is a coupon on the site. I learned that Luvs has been using spandex elastic instead of natural rubber latex. I love that they have a money back guarantee! I learned they have a great sweeps for free diapers for a year! They are giving away diapers for a year! I’ll have to tell my sister too. I like the “MOMOJIS” download app on the site. I learned that Luvs offers MONEY BACK GUARANTEE. I learned there’s a win diapers for a year sweepstakes on the site. I love the Lullaby Lift videos! They are so funny. From no rubber latex, to lots of sizes to choose from, Luvs is ONE affordable diaper that gets the job done. I like the momojis for downloading and learned we can enter to win diapers for a year on the site. I learned that Luv’s makes leakproof diapers and has sizes from newborn to size 6 diapers. I learned and like that Luvs doesn’t use latex in their diapers. I learned that Luvs has been using spandex elastic instead of natural rubber latex in all Pampers and Luvs diapers, wipes, and training pants since August 1998.